Until now, improving the wind industry’s profitability equation has been driven by increasing the size and efficiency of wind turbines, resulting in more energy produced for every dollar of capital expenditure. However, there’s only so far we can go with this approach. To keep driving costs down and maintaining your wind farm performance, we now need to turn our focus to another aspect of the equation: a wind farm’s significant ongoing operational and maintenance (O&M) costs, which are set to increase as wind assets age. Achieving maximum yield at minimum risk and cost across a wind farm’s full operational life is a major asset management challenge, and much is yet to be learned. Earlier this year, at the Wind O&M EU 2018 conference in Germany, I observed some international trends and perspectives on O&M that can offer useful insights for the wind industry in Australia. Although some aspects of the topic generated a deal of consensus, other areas are far less certain with many questions and possibilities yet to be fully explored. Across the wind industry, there’s strong agreement that commercial returns for wind farms are not as high or as easy to obtain as they once were, and that reducing O&M costs on wind farms is critical when profit margins are being squeezed. This may seem obvious, but the fact that we still need to articulate this point demonstrates that the wind industry has a significantly less sophisticated O&M approach than more mature industries such as oil, gas, other energy and heavy industries, and the IT and telecommunications sectors. The wind sector should, and no doubt will, look to these more mature industries in the coming years for innovations that can be applied successfully to streamline our O&M and asset management strategies. Another implication of the relative youth of commercial wind farm development is that the industry has little practical experience with ageing wind farms – yet wind farms are set to get even older. Where it was previously the norm for a wind farm’s business case to be based on a 20–25 year life, it is becoming increasingly common for business case scenarios and asset management strategies to consider lifetimes up to and potentially beyond 30 years. We need to be developing thorough and sophisticated asset management strategies that fully embrace the later stages of a wind farm’s life – not only the earlier stages in which O&M may have been conducted under contract with risks managed very effectively. When we think about ageing wind farms, we weigh up the choices of continuing operations, decommissioning, or repowering with new turbines. From our understanding, it seems that wind farm repowering is only happening in locations with very friendly tariffs (such as a few areas in Germany), or where the existing project is fundamentally unsound from a technical and commercial perspective. 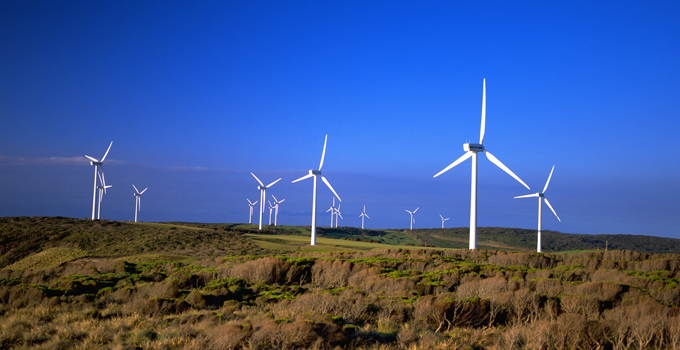 In Australia, full repowering with new wind turbines is not currently a commercially attractive proposition, and may not be widely considered for at least another decade. So, a wind farm’s extension of life will need to be achieved through effective O&M and refurbishment. I observed that some wind turbine owners and suppliers are beginning to think in more sophisticated ways about whole-of-life asset management strategies that maximise project value for the longer term, but it is still early days across the sector. I also noted a range of diverging opinions about whether it is preferable for an owner to manage O&M through long-term comprehensive O&M contracts or whether risk is better mitigated by owners taking on the management of O&M themselves. Approaches vary depending on portfolio size, experience, capability and the general philosophy of the business. Clearly, this is not an area in which one solution will work for all. Given the relative newness of the large-scale wind industry, and the need to squeeze every last drop from existing infrastructure, there is much to be gained from learning from and with each other. Many industry players at the conference expressed a desire to see increased cooperation and sharing of information between different owners, operators and manufacturers. The industry as a whole will benefit if SCADA system data is the property of the wind farm owner and shared more openly across the industry. Greater openness and availability of data will allow better benchmarking across turbine models scattered across the globe, enabling operators to better predict future costs and performance and incorporate reliability-centred maintenance. Better benchmarking may offer insights into the extent of the performance improvements that could be gained on existing projects by adopting some available upgrade options. Many service providers are offering control system upgrades, aerodynamic improvements, yaw alignment systems, and advanced condition monitoring systems for increased availability – yet the industry is still learning how to translate this dizzying variety of rapidly developing technologies and options into a robust business case. It can be difficult for owners to justify expenditure when the gains are uncertain, difficult to measure, and sometimes accompanied by drawbacks that are hard to quantify directly. For example, do you take increased generation at the risk of a reduced lifetime or increased maintenance costs? If performance improvements of wind projects were more easily measured, we could more realistically quantify their impact on profit. From these trends, observations and uncertainties, it’s clear that in any wind farm project – whether developing a new project or changing ownership of an existing project – we need to look very carefully at ongoing O&M costs, particularly as the increasing costs of end-of-life loom large. Thorough due diligence and realistic assumptions in this area will be vital for developing viable business cases across an increasing range of possible lifespans. 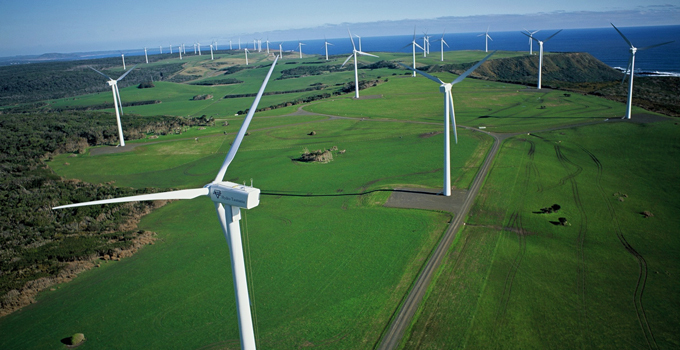 If you would like to find out more about how Entura can help you optimise your wind farm, develop an asset management strategy, or support you with due diligence services for proposed or operational projects, contact Akhil Pai on +61 406 874 101 or Silke Schwartz on +61 407 886 872. Andrew Wright is a Senior Renewable Energy Engineer at Entura. He has more than 15 years of experience in the renewable energy sector spanning resource assessment, site identification, equipment selection (wind and solar), development of technical documentation and contractual agreements, operational assessments and owner’s/lender’s engineering services. Andrew has worked closely with Entura’s key clients and wind farm operators on operational projects, including analysing wind turbine performance data to identify reasons for wind farm underperformance and for estimates of long-term energy output. He has an in-depth understanding of the energy industry in Australia, while his international consulting experience includes New Zealand, China, India, Bhutan, Sri Lanka, the Philippines and Micronesia.